Researchers at RMIT University in Melbourne, Australia have discovered a link between how sludge dissolves and changes in its flow, proving that it could be possible to monitor thermal treatment performance by tracking sludge flow. The study, entitled Rheological characterization of thermal hydrolysed waste activated sludge, was published in the Elsevier journal Water Research (Vol. 156). It established that tracking the flow behaviour of sludge can help engineers and plant operators to see how quickly organic matter dissolves at high temperatures. This knowledge would support more efficient design and problem-solving for pumps, mixers and heat exchangers in the sludge treatment process, allowing online monitoring of process performance. Unlike traditional methods of assessing the performance of thermal treatment, such as sampling and chemical analysis, rheology calculations, which measure and detail how liquids flow, can be done online in real time. 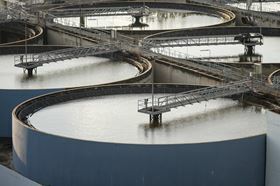 The study also showed that sludge thickness has little impact on the effectiveness of thermal treatment, allowing plant operators to increase biogas production downstream by increasing the solid content of sludge during initial treatment processes, so improving the renewable energy potential of wastewater sludge treatment. The range now comprises three pump families.